Greg M. Dodd was born in Greenville, South Carolina and has lived in the Palmetto State for most of his adult life. His current title, “A Seed for the Harvest,” began as a short story idea for his Sunday school class. The effort slowly grew into a full-length novel with a life of its own. “A Seed for the Harvest” is a story that explores the meaning and purpose of Christian faith from a very personal point of view and how our lives are woven together in that context. Greg is currently working on its sequel, planned for publication in 2015. NAW- Tell us about your book, ‘A Seed for the Harvest.’ How did you get the idea for it? What is it about?How did you select the title? “A Seed for the Harvest” is a fictional story that explores the meaning and purpose of Christian faith told through the life of its main character, Jon Smoak. Readers will get to know Jon through glimpses of his past, his relationships and his struggles in faith. His effort to truly understand God’s desires will lead him down an uncommon path and touch the lives of people he would never know. The idea for the book came from a daydream I experienced driving to work one morning. It occurred to me just how much we let cultural restraints and material expectations hold us blindly captive to a life that is very distant from what God truly desires for us. What would life be like to break free of those constraints and just do what the Bible tells us to do? That’s the basis for the book. 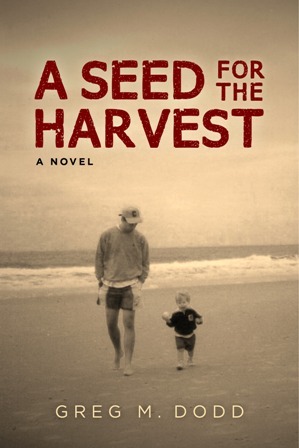 The title, A “Seed for the Harvest,”speaks to the impact one life can have on so many others. NAW- Tell us about the character of Jon Smoak. How did you develop the character? 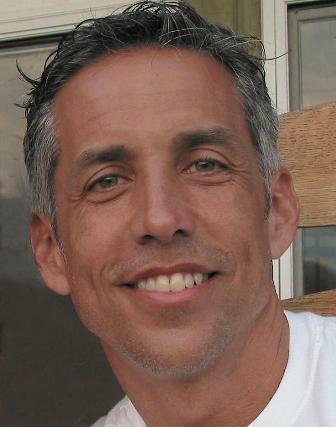 Jon is a single father living a comfortable life as an advertising executive in the southeastern United States. But underneath his successful exterior lies a past that both haunts and sustains him. I chose to reveal Jon’s character through a series of glimpses into his past which alternate with the present story line. When we get to know people in real life, the knowledge comes asynchronously – a story here, a memory there – within the context of our lives. The same is true in “A Seed for the Harvest.”The reader gets to follow Jon’s present struggles as they piece together a picture of who he is from his past experience. I believe this allows you to connect in a very personal way to his character. “A Seed for the Harvest” is my first novel. I have outlined several other concepts, but this is the first work I have written to completion. I don’t mind reading ebooks and certainly enjoy the immediate access when I want to purchase one. But I prefer the tangible feeling of a printed book in my hands when I read. I’m fascinated with antique books from the 18th and 19th centuries and display a collection in my home. And after writing a novel in an electronic format, it was gratifying to finally hold a completed copy in my hands. Reading Michael Crichton inspired me to begin writing fiction. I have several story concepts which would require the type of in depth research you see in his novels like “Timeline” and “Jurasic Park.”We’ll see if I can find the time to develop them. I love Cormac McCarthy’s way of story telling. It’s so engrossing I’m almost afraid to start his books, knowing I’m about to be consumed for a few weeks. But “A Seed for the Harvest” probably falls more inline with the writing style of Tony Earley in his works like “Jim the Boy” and “The Blue Star,” two of my favorites. I would describe the process of writing “A Seed for the Harvest” as something that happened to me as much as something I did. Once I began writing, the story just revealed itself to me. Some chapters came to me literally in my sleep. I would wake up in the middle of the night and realize I had just dreamed a chapter. I’d jump out of bed and write until the sun came up. Unfortunately, then I’d have to get dressed and go to work. The story took a year and a half to complete. Within the first few weeks, I had written the first chapter and the very last chapter. I wrote the chapters in between completely out of order, simply as they came to me. It was like dumping a puzzle onto a table and slowly putting it together. Somehow it all fit. NAW- What do you do when you are not writing? Do you have another job, a hobby that keeps you busy? I work as an IT professional for an energy-based holding company.I enjoy anything that allows me to spend time with the people I love. My wife, Caroline, and I teach a Sunday school class at our church for newly married and engaged couples. We enjoy vacationing on Pawleys Island in South Carolina (which is where I am at this moment, actually). I’m currently writing the sequel to “A Seed for the Harvest”, which should be ready for publication in 2015.